With an abundance of information, Americans oftentimes get overwhelmed with conflicting advice on how to live healthy lifestyles. For instance, one diet says to eliminate all diary, while another says that eating diary products is perfectly fine. Trying to maintain a healthy lifestyle has never been more confusing or frustrating. To help us learn wellness facts from fiction, eat a balanced diet, and have more energy, Australia's leading Chef, Nutritionist and bestselling author Teresa Cutter is launching The Healthy Chef in the United States. The Healthy Chef is a one-stop resource for overall wellness. Whether you want to start cooking more often in your own home, lose weight, or exercise more, The Healthy Chef has a product that can help. "Everything I tried was full of junk and cheap fillers that caused bloating and weight gain, the total opposite of what I wanted. I was compelled to create a protein supplement that really was good for me and provided the perfect nutritional support I needed," says Cutter. "As a result, I launched The Healthy Chef to offer natural, pure and delicious whole food blends, dieting advice and delicious recipes that deliver on performance and overall wellness." The Healthy Chef offers quick and easy-to-follow recipes, diet guides, and nutritional products perfect for any lifestyle. 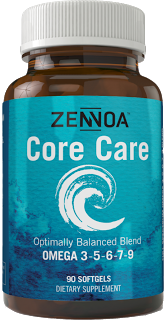 All the products are made from natural whole foods, and are free from chemicals, preservatives, fillers, artificial sweeteners, gums, added sugar, vegetable oils, GMO, and soy. Prices range from $15.00 for individual products to $158.00 for complete packages. 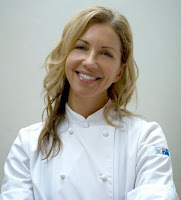 Cutter is one of Australia's leading authorities on healthy cooking and the CEO of The Healthy Chef. A nutritionist and a classically French-trained chef her natural talent and passion for food was rewarded early in her career winning Apprentice Of The Year two years running, followed by a Gold Medal at the Salon Cullinare. Cutter is the author of four cookbooks (and one international bestseller): Bite Me, The Anti-Aging Cookbook, Fit Food, The 80/20 diet, and 101 Ways to Lose Weight. Cutter is currently working on 2 more cookbooks due for release later this year. She writes healthy recipes for the Sydney Morning Herald, as well as Women's Fitness, Men's Fitness, Men's Health, Australian Doctor and has a solid grounding as a TV celebrity chef appearing on live TV and numerous cooking segments. She has worked with companies including IHG (InterContinental Hotels Group) Blackmores, Clinique, Nivea, Horticultural Australia, BSC Body Science, The Health Department of Western Australia, Kamalaya Health Resort, Empire Clinic, Weight Watches, and Vitamix. Currently, she lives in Sydney, Australia with her husband, Paul. To learn more about Teresa, The Healthy Chef, and all products available, visit TheHealthyChef.com.